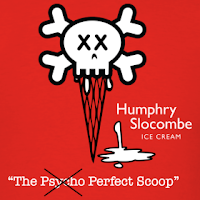 Awhile back, I posted about 3 great ice cream places in San Francisco. That didn't even include the wonderful Ghirardelli shop at Ghirardelli Square. Here are a few more! Mr. and Mrs. Miscellaneous (no website!) - it's at 699 22nd Street in SF - Potrero Hill. Look for their yummy Fudgsicle, made with Valrhona chocolate. Other flavors include malted milk balls, bourbon and caramel, salted caramel, pink squirrel, chicory coffee, black and tan beer ice cream, candied violet, chocolate chip basil, Earl Grey tea, dirty Chai tea, horchata, You'll also like their eco-conscience. The use biodegradable plates - everything is compostable. Bombay Ice Cream - 245 South Van Ness, SF. You can probably figure from the name, this is Indian ice cream. I've not tried it, but it comes highly recommended. Flavors include bedam kesar pista (almond, saffron, pistachio), cardamon, rose, green tea, lychee, cashew raisin, chai, mango, fig, saffron rose and others. They also serve chaat (small plate appetizers) and have dry goods and saris as well. 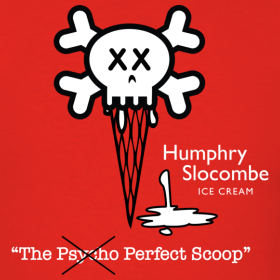 Humphrey Slocombe - 2790 Harrison Street, SF. Admittedly, not the most natural name for an ice cream place, they use Straus organic dairy in their ice creams. Ice cream and sorbet flavors include pumpkin 5 spice, pink grapefruit tarragon, collaborative evil ale, candied ginger, Guinness gingerbread, McEvoy olive oil, orange clove, Thai chili lime, rhubarb, cucumber ice milk, Jesus juice, carrot mango, red hot banana, sour cream and salted licorice. 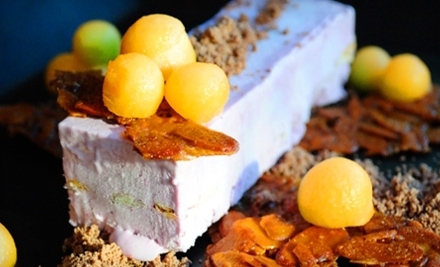 Candybar in San Francisco is an awesome date night place - gourmet desserts and wine. What could be better? Following the ice cream theme, their desserts include ice cream sandwiches (made with chocolate macaroons, blueberry vanilla ice cream and blueberries). For good measure, here are some other desserts: honey almond panna cotta, lavender honey creme fraiche semi freddo, and peanut butter jelly time (chocolate tart, peanut butter cream, salted candied peanuts, and blackberries). Cocktails, just as important, include blood orange cocktail, jasmine sparkle, Candybar lemon drop shot (soju and frozen lemon sorbet), and 50/50 (soju, orange soda, and vanilla). What are your favorite ice cream and dessert places in the Bay Area?